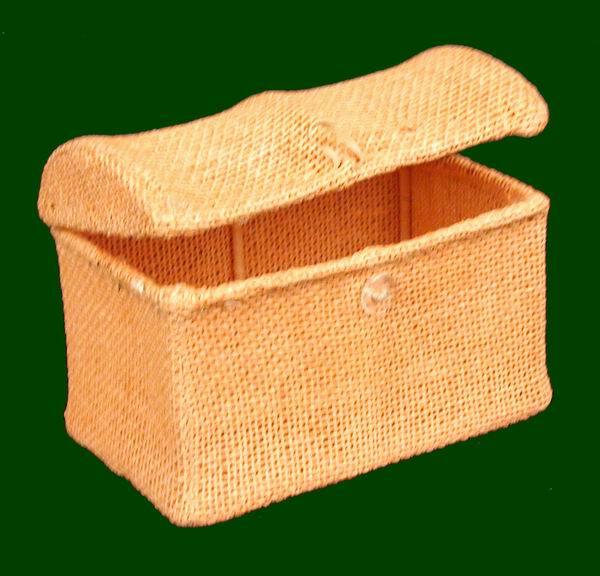 This burlap treasure chest measures 6" long, 4" wide, 3.5" tall. It is available in all Spring Colors and Matte Finish colors. The sample shown is finished in Terra Cotta.